I just stumbled upon these images of what looks like the back-casing of the 4th generation iPhone and thought I should share it with you all. 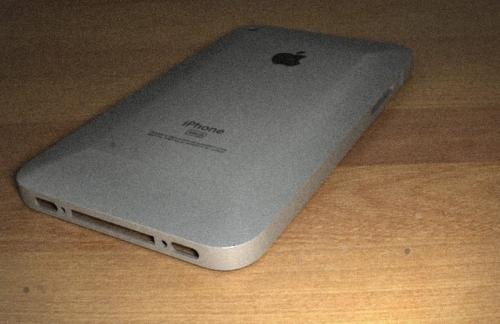 The text on the all aluminum unibody back reads the traditional line: “Designed by Apple in California. Assembled in China”. As MacRumors noted that “images also show cutouts for the same physical features found on existing iPhone models, with a circular camera lens hole at the top left of the rear shell, space for a ring/silent switch and volume rocker along the side, and dock connector, microphone, speaker, and a pair of screw holes along the bottom”. These images, which looks a hell a lot like the concept image which we posted about earlier this month shares the design theme of iPad and MacBook Pro, both of which boasts an all aluminum back. This makes the authenticity of these images questionable as all aluminum back would mean poor radio and Wi-Fi reception unless and until they have some sort of plastic/rubber material coating near the radio antennas. UPDATE 1: These Images have now been proved as fake. WWDC 2010 to 2015 Tentative Dates Leaked? 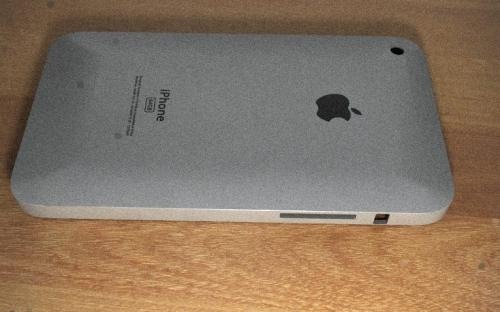 iPhone 4G to Feature Magic Mouse like Touch Sensitive Case? There's no flash space in the back of these photos, a lot of rumors say that flash will be included. The whole Apple logo flashes with a LED behind it. Almost 100% sure that says 64GB. Either way, it looks ugly. They should cunstruct it out of like some extremely hard titanum so it doesent scratch, because sometimes with pocket wear the iPhone would be de-valued due to intensive use, and uguly scratches ingraved in the beautiful aluminum!